Over the years many things have changed about our business, but one thing we did not see coming was that Pumpkins are now the most important vegetables to our company. Yes, of all the possible vegetables to glitter up, Pumpkins are by far the most popular (and the most fun). 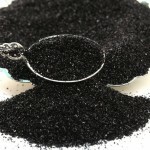 #1 They are really easy to glitter up! #2 They create a great “blank” canvas that allows for your creatively to really show! #3 Every one thinks you are a master crafter, when all it took was a little glue and some glitter! 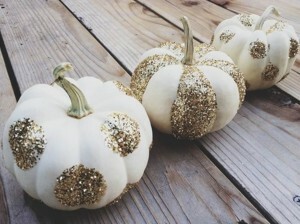 So, if you really want to impress your friends this year, get your pumpkin, a bottle of glue and shake, shake, shake that glitter to create a stunning centerpiece for your holiday table! 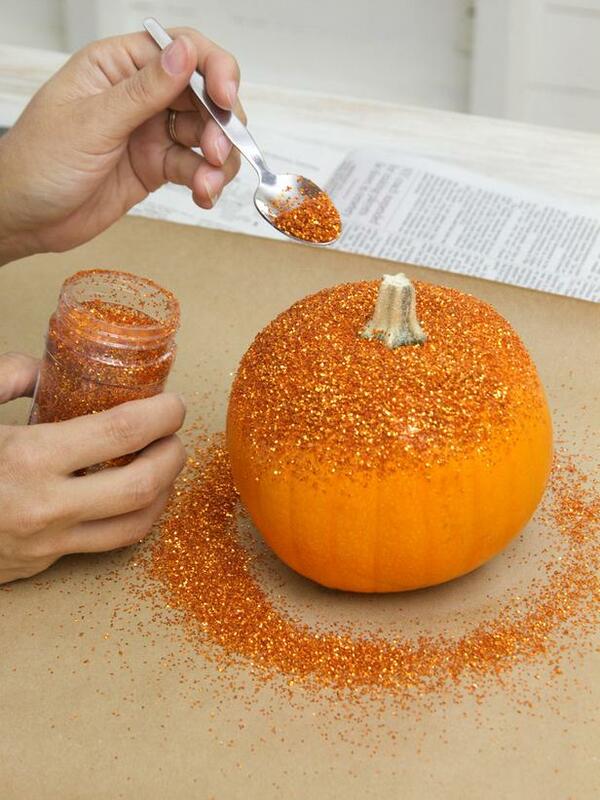 A few links Everything Orange, Halloween Craft Supplies, Glitter your own Pumpkin kit. One of my favorite seasons of the year is coming up soon. It’s time to start thinking about Glittery Pumpkins! You can always tell when the seasons are getting ready to turn, by when you start seeing blogs with wonderful DIY ideas for Halloween. We hope to highlight a few of the best this season and want to start by presenting Jaderbomb and a great project with something new and a little twist! Worth checking out! Also worth checking out is our Halloween crafting supply shop and our new All in one Glittery Pumpkin Kit. As we all get ready for Halloween, some of us are just a little more ready than others! 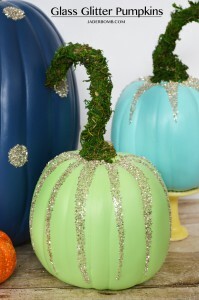 For example, Lori (from the blog A Pinch of Glitter) has already glittered her pumpkins and done a wonderful blog post on all her techniques! And on top of that, she raised the "pumpkin" bar, by creating fantastic Glittered Fall Leafs. 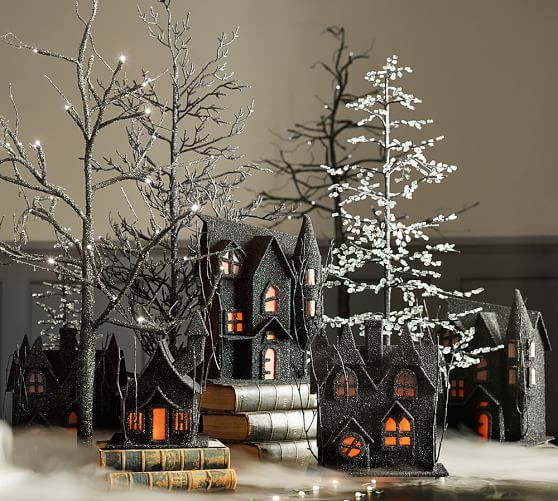 This really just makes a stunning Halloween Fall display and to see more, just check out all the details on her blog! This is just one example of the power of our design team and the creations they design. I am always just amazed at the beauty of our glitters once that are in the hands of a master! So, thanks Lori for sharing and for creating both a wonderful Halloween display, but also a full blog post with all the details! Since we are talking about new items, Vintage Halloween Witches! Since yesterdays blog post was about new items for our store, I thought I should follow up in today's post about these really nice Vintage Miniatures Witches on Brooms. These were produced back in the 1980's in Germany & we thought we had ran out of them! However, the beauty of having a warehouse full of boxes is that every once in a while you find something you thought was long gone! so, just in time for Halloween we have these back in the store (click here) and in very limited quantities. So if you like them, and we know you do, please order them before there are gone…. this time forever…..
Halloween is one of our favotive holidays because there are just so many crafting opportunities with parties, pumpkins, costumes, and well, just the Fall season in general! We do like the color oranges and wanted to offer a couple easy ways to see all the different shades of Orange we stock, and a quick way to get to our Halloween Store! To see "everything orange" just click here to head right to "Shop by Color" guide for the color Orange! 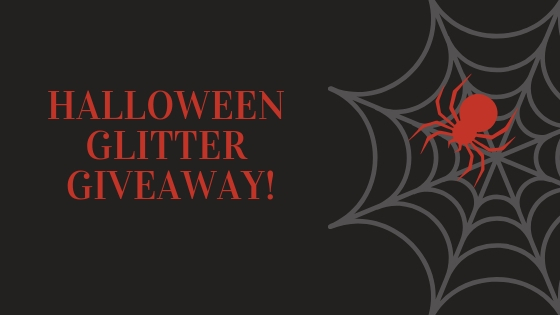 And to see everything in our Halloween Store, just click here, to explore a great selection of our vintage Halloween glitters and Miniatures! So, with Halloween right around the corner, start thinking about all the great things you can create this season. And for more ideas, just click here to see a ton of great project ideas!